I have this internal rule of using just one eyeliner per category at a time (i.e. only one gel and one liquid eyeliner at a time) to prevent drying that it's so rare for me to be able to do reviews on my eyeliners! This is why I myself am so amused that after a long time I'd be able to do an eyeliner review again here. So this is Maybelline's Lasting Drama Gel Liner in brown! 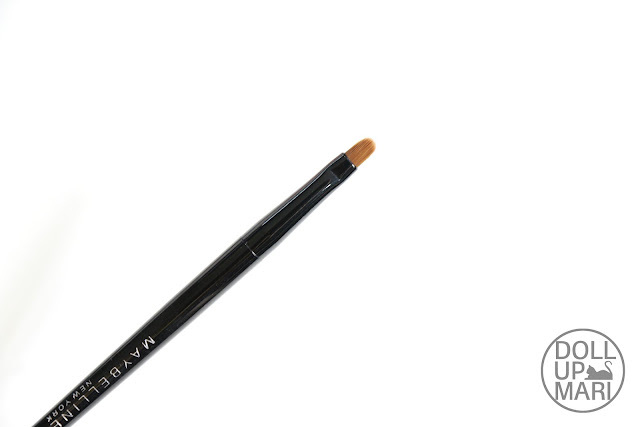 This is the first brown eyeliner that I own for eyeliner purposes. 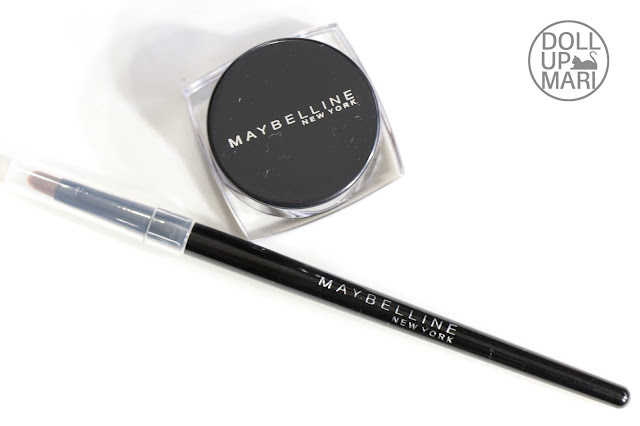 I bought a Maybelline eyeliner waaaay back for my makeup school finals and it wasn't really for eyeliner per se. It was for drawing all sorts of shapes on the face. I also never got to explore the said product for actual eye liner use. So when I got this, I was intrigued and amused at the same time because I wanted to see how it'd work. 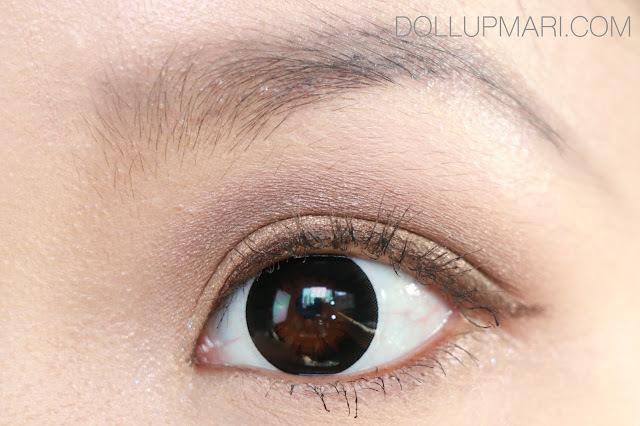 I'm sure a lot of you guys have already heard of people suggesting to use brown eyeliner if you have a strong looking face, and I was intrigued as to whether this would really work as what other people have said. So this is the product itself. 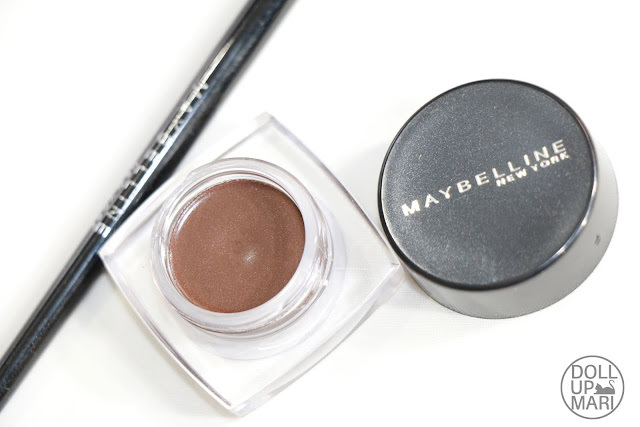 It consists of a brush included with the set, and of course, the pot of brown gel eyeliner. 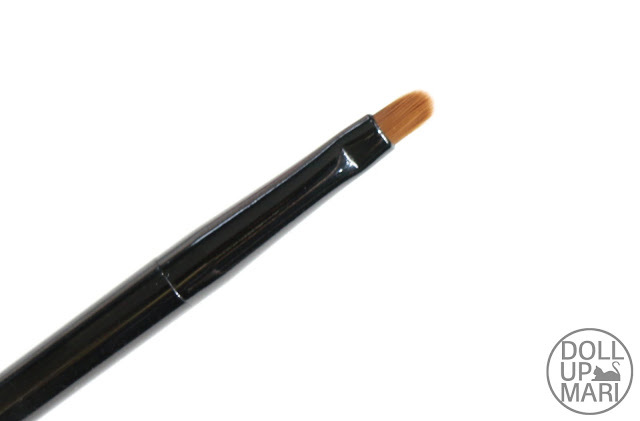 I personally liked the brush because for a brush that comes with a set, this is a relatively high quality brush, the kind of quality you'd usually have to buy separately from a brush store. This is the pot of eyeliner. I'm sorry to break it to many, but this has shimmer in it, so this can never be solid matte. 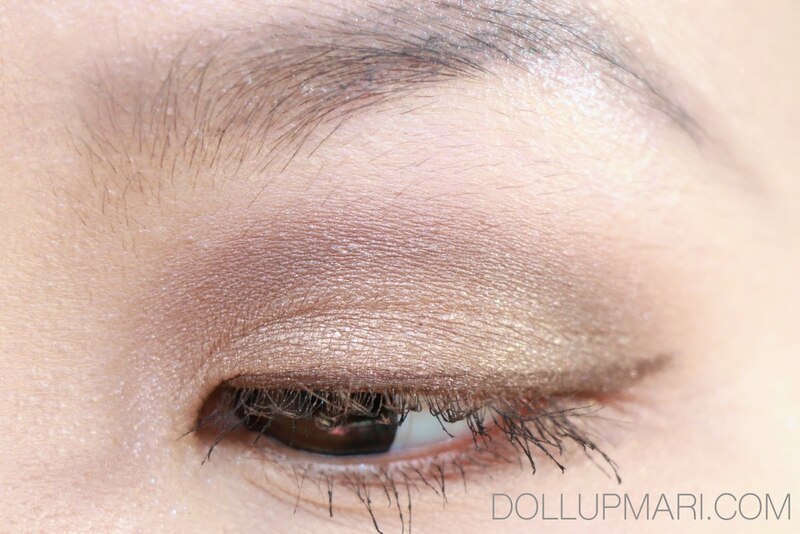 I am guessing this was really created to give a presentable, inconspicuous boost to your daily eye makeup, not really to be the focal point of the makeup. How the product looks like depends on how you use it. You can play it up from making it a super invisible eyeliner to make people wonder if you really woke up like that, to making it very dark and defined to give you the perfect brown smokey eye look. It really depends on how thick of a line and how much product you're going to put. An this is how it looks like when you make it into a super invisible eyeliner. And yes, it's so invisible that this looks like I still don't have any eyeliner on. You'd only probably notice it's there when you zoom it in and see the stuff on my lashline. It's like you know some eyeliner must have been into play, but your eyes trained to see black eyeliner can't see anything. For the subtle makeup lover like me, this is the perfect cheat for everyday. And since it's brown, you can make more mistakes as it's not visually as 'standing out' compared to black eyeliner. 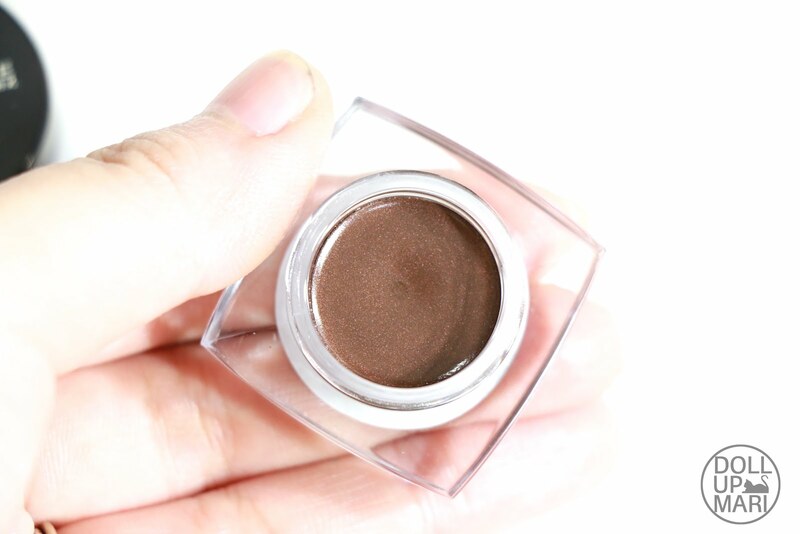 People's eyes are kind of trained to think that when they see brown, it must be eyeshadow. So they kind of are less discerning as to whether it's on fleek or not since eyeshadow is supposed to subtly blend in. I am honestly amused by all the visual tricks this eyeliner is doing for me. And this is how it looks like when applied solidly and thickly. This is not a very opaque eyeliner, and like I've said, it's got shimmer, so it's not meant to be that solid matte focal point eyeliner. Amusingly, from afar, you can see how thick the line is, but it doesn't look as strong as if I had used black eyeliner. It's like it's there but it blends in to everything else. And when you look at me from afar it looks as if I had a brown smokey eye and decided to put the smokey brown eyeshadow after the black eyeliner. It's arguably a good cheat because it makes it seem like I've done so much already even when I haven't. This retails at Php449 in Maybelline counters, if I'm not mistaken. As for my verdict, I feel that this eyeliner's color is up to the consumer to discern. There are people who do not like their eyeliner to fade into their look, and there are people who look too meek they need black eyeliner to make their look stronger. So it is all up to you. As for me, I personally appreciated how subtle this is and how forgiving it is to mistakes, so I really see myself using this more and more these days.